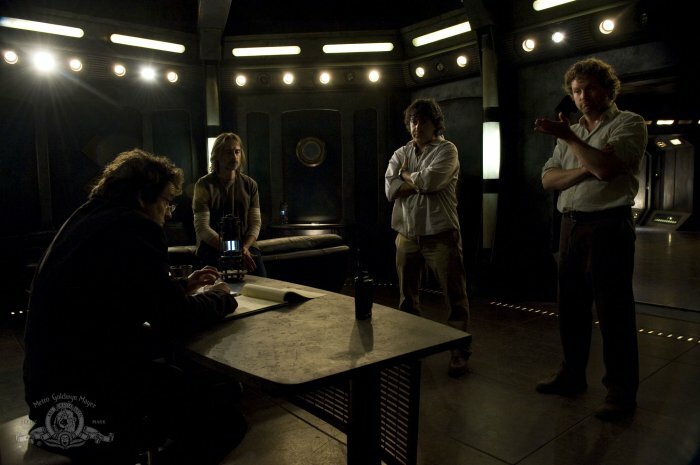 I assumed The Hunt (episode #216) was going to be my last script for Stargate: Universe’s second season, but when my writing partner, Paul, got busy producing Common Descent (episode #217), the task of tackling the first draft of the finale fell to me. When I sat down to write Gauntlet, I assumed we WERE coming back for a third season. Some may not have shared in my optimism (Paul has always been a “glass half full and its contents are probably undrinkable anyway” kind of guy), but I nevertheless approached the episode as a season finale and not a series finale. Armed with the story beats we’d spun in the writers’ room, I fleshed out the narrative in outline form, received everyone’s notes, and got to work. By the time the first draft of Gauntlet was complete, Paul’s schedule had freed up and he was able to jump on the rewrite. After so many years of writing scripts separately, I suppose it was somehow fitting that our last script for the Stargate franchise would be a true collaboration. Just like old times. Now, as I said, I was under the impression that we would be back for a third season. And I wasn’t the only one. 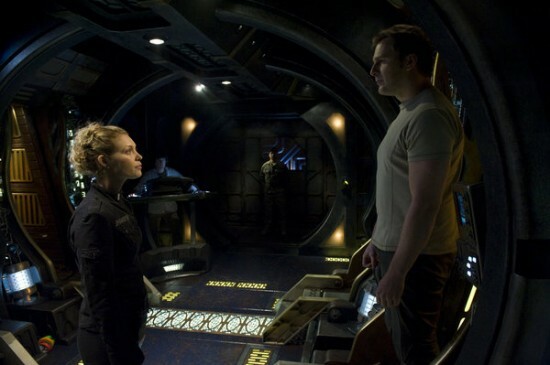 When the ratings for the back half of the second season faltered, it was clear that the Tuesday night experiment was a colossal failure (for both us and Caprica) and we were in trouble. However, we had a few things going for us. For starters, after months of uncertainty, the studio had finally turned the corner and gained stability in the form of new management. 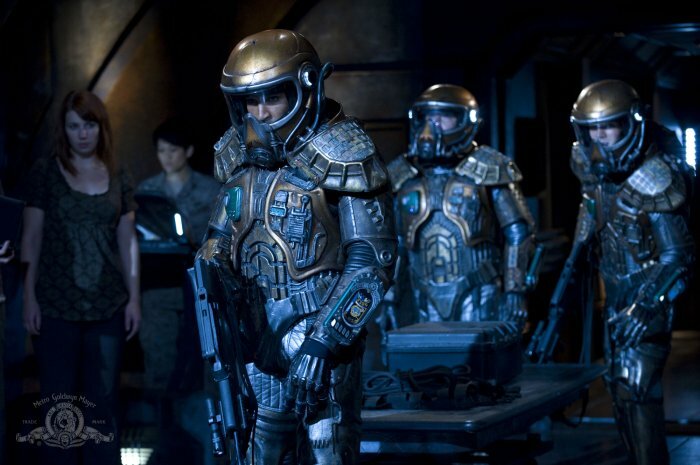 I assumed that given the fact that Stargate was one of their biggest franchises (next to Bond), they would make a concerted effort to keep it alive. That meant not only brighter prospects for SGU, but renewed hope for the SG-1 and Atlantis movies, Stargate: Revolution and Stargate: Extinction. Although the show’s ratings had faltered, it wasn’t as if any of the network’s other shows were going gangbusters in the similar week night death-slot (and, with all due respect, comparing summer airings to fall airings or one-offs to an ongoing series is not so much apples to oranges as it is apples to rutabagas). In fact, the erosion of viewership across the board (not just in the case of our broadcaster but network and, particularly cable in general) suggested a definite trend. Fewer people were watching television live. 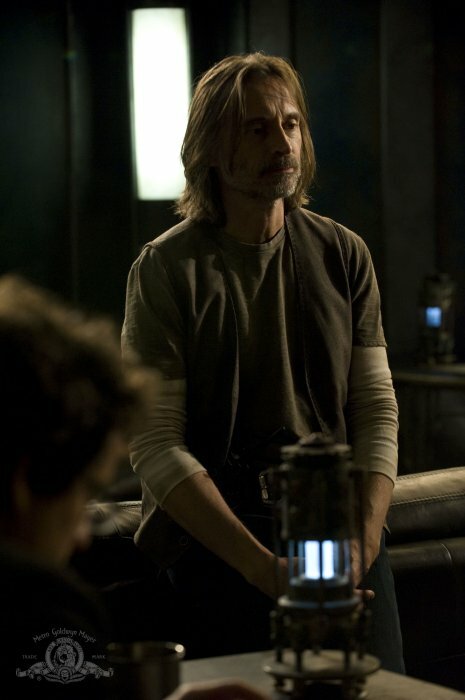 They were DVR’ing and downloading – and, in the case of Stargate: Universe, apparently doing so A LOT. Not surprising given our audience was young and tech-savvy, the demographic most likely to DVR and download. Surely, I presumed, we would not be punished for having smart, forward-looking viewers. Finally, there were reports from various sources that we WOULD be back for a third and final season. Yes, the series would end, but armed with this knowledge and with plenty of time to prepare and wrap up loose ends, we would be able to go out in grand style. 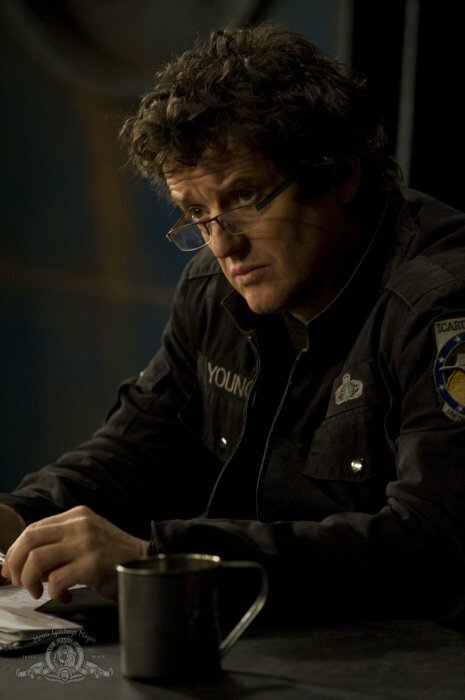 I recall sitting in my office with actor Louis Ferreira (SGU’s Colonel Everett Young), discussing the great opportunity this would afford us to make some really bold creative decisions knowing these final 20 episodes would be our last! 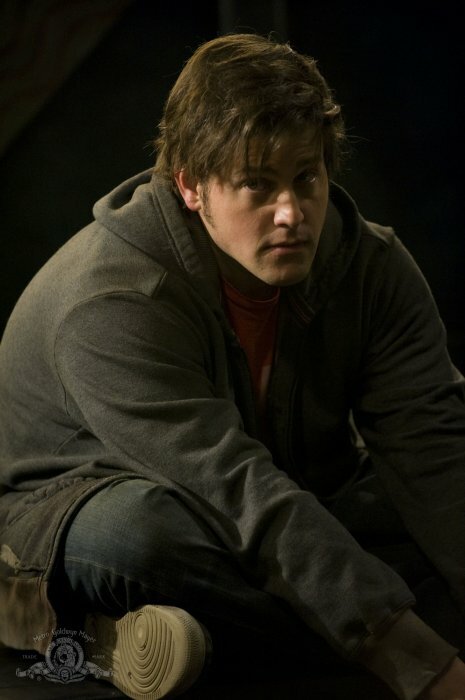 After the episode aired, many fans expressed their satisfaction with series finale. Although there are a number of questions left unanswered, the consensus was that Gauntlet offered a bittersweet conclusion to our crew’s adventures. I don’t know if I totally agree, but I do recognize three scripted elements that certainly lent this episode a sense of closure. The Goodbyes. 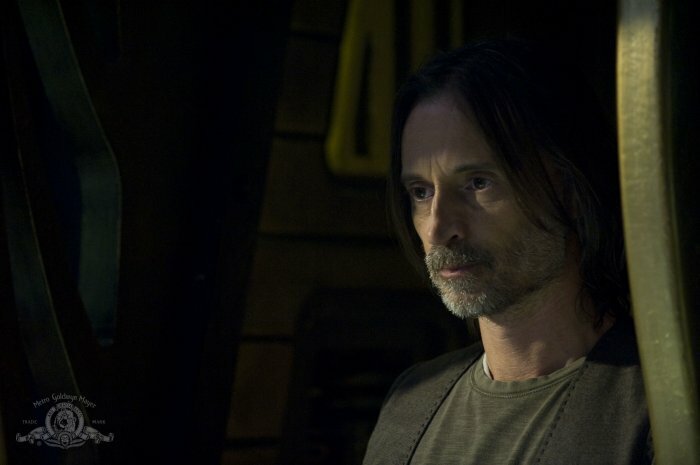 One by one, the characters we’ve grown to know and love over the course of SGU’s two seasons bid farewell to one another (and, by extension, of course, the audience at home), until only our core trio remain. 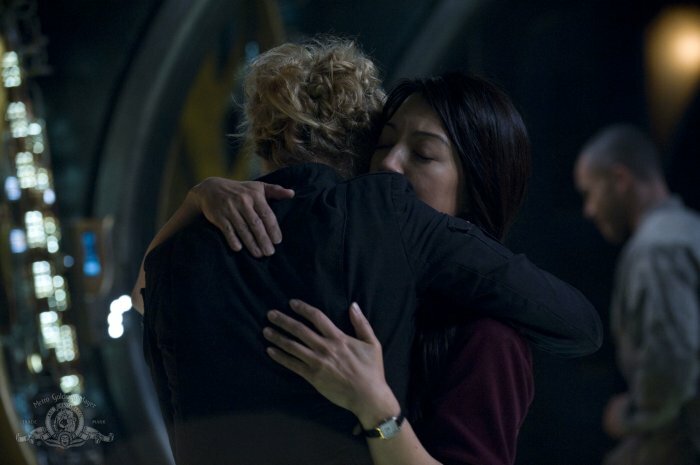 Then, it comes time for them to say goodbye, first Rush, then Young, leaving Eli (our viewer proxy) alone on the bridge heading into the unknown. The Final Supper. Which, interestingly enough, wasn’t in my first draft or Paul’s pass. Well, not quite anyway. In the original script, the last supper sequence was a simple beat in a more expansive montage – no dialogue, just a shot of the crew enjoying their last meal together. It was changed at the suggestion of SyFy’s Erika Kennair who requested an actual scene, a moment for our characters to pause and reflect on where they’ve come from and where they’re headed. In retrospect, a brilliant request. I wrote the speech, then handed it over to Paul who made a couple of tweaks (one of which was nixing Young’s toast: “To three years!” which, in story terms, referred to the best-case-scenario three year journey they’d be facing but, in my mind, was a reference to the show’s expected three year run). The Bookend Visuals. Paul added these in his pass, a call back to the opening moments of the series premiere. Nothing but stars, then – Destiny dapproaches the camera. 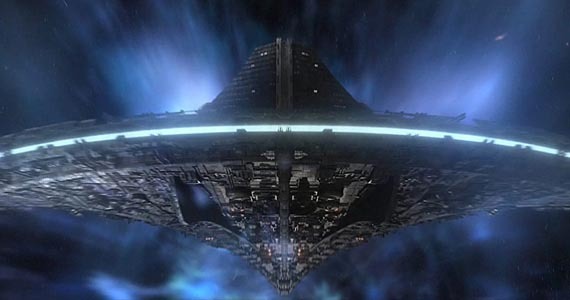 We CUT INSIDE and bear witness to Destiny’s awakening, PANNING UP the ship’s levels as its various chambers light up. In Gauntlet, it’s the same sequence in reverse. Destiny goes back to sleep as we PAN DOWN the ship’s levels, it’s various chambers going dark. We CUT OUTSIDE to the ship making the jump to FTL and then – nothing but stars. Yes, I can see how many would view Gauntlet as an appropriate series ender but, as much as I love the episode, it still leaves me frustrated. More to the point, it leaves me frustrating knowing that, after 11+ years of resolving cliffhangers, this is the one time I won’t be able to come up with the answers. Does Destiny make the jump to the other galaxy? How long does the journey take? 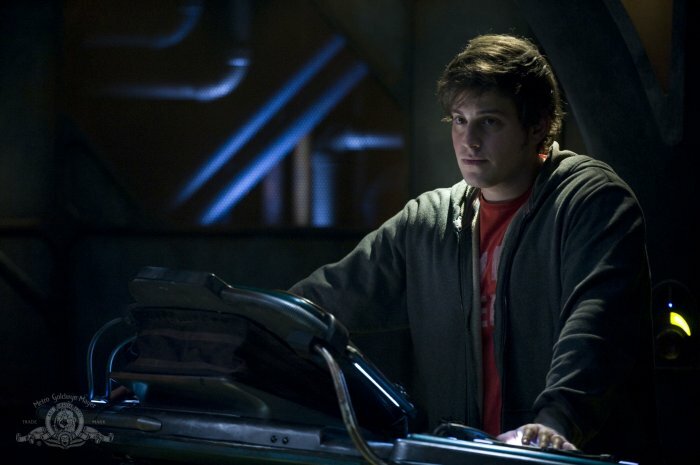 Does Eli manage to fix the damaged pod(s) or find a way to extend the ship’s life support long enough to ensure his survival? Does T.J. find a cure for her ALS? Who does she get together with in the end, Young or Varro? Does Lisa ever regain her sight? I could provide some insight into what we discussed, possible answers to these burning questions but, ultimately, they’ll serve as little more than interesting footnotes to greater canon. In the end, the answers are what you choose them to be. In those final moments, we fail to make the jump to FTL with Destiny and, after two years of following its journey, we are left behind to wonder. Maybe they do make the voyage in three years and our crew’s adventures will continue, only we won’t be privy to them. Maybe, sadly, they don’t make it and that final glimpse of Destiny was a true farewell. Or, maybe, Destiny is still out there, still journeying, its crew in stasis, destined to outlive all our questions.